Being that I am a patriot, I love this week...for the sales! President’s day proves to be a great time of year for me to stock up on goodies. It’s far enough after Christmas to have cruise and early spring collections on sale, but you can still get an amazing deal on winter clothes like boots, coats and sweaters. My favorite place to go during the holiday sales is the outlet centers. 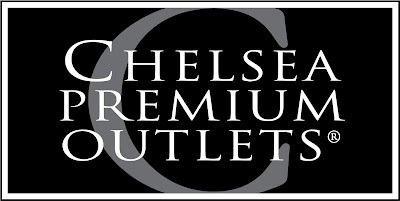 Chelsea Premium Outlets ( http://www.premiumoutlets.com/index.asp) is my favorite outlet chain. They are all over and since I am in NYC, I hit the Woodbury Commons Outlets quite frequently. The list of stores at this particular center makes my heart flutter with excitement. There’s a Saks Off 5th, Neiman Marcus, Gucci, Kate Spade, Coach, and the list goes on and on. I have scored some amazing deals in Liz Claiborne and some other stores that have a plus sized section, but I go for the accessories. I feel, in general, that accessories make the outfit. You can have your typical plain black dress and have a bunch of different shoe and jewelry options and you will have a different look each time you mix it up. If you join the VIP club email, you will get special offers and coupon booklets that entitle you to more of a discount. If you follow CPO on Twitter ( http://twitter.com/premiumoutlets), you can be privy to the newest stores opening and some insane deals! Check out the Outlets all year long and keep me posted on what awesome deals you get!